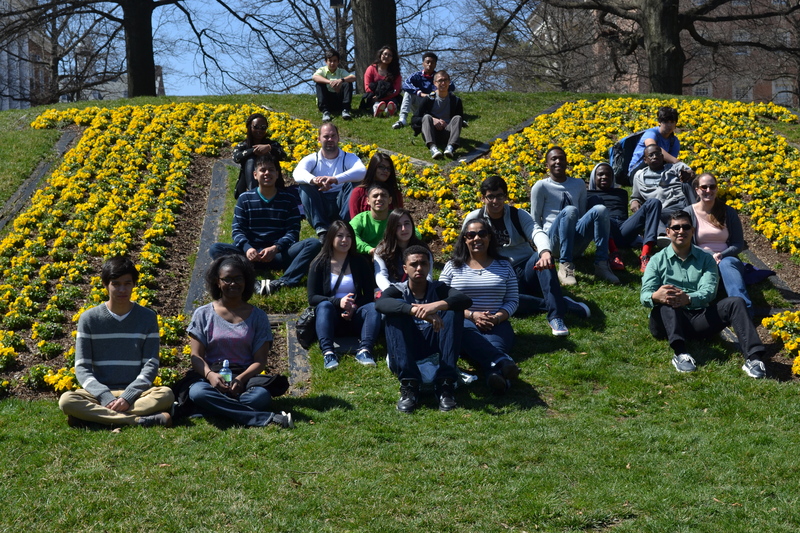 For many of these students, the college tour was the first time they traveled away from their families. When the first Puente del Pueblo after-school program was launched at Wegner School in West Chicago in 2008, the program served students in first through sixth grades. But even then, the strategic plan was to “grow up” with the children, adding classes for older students as that first group moved into higher grades. Victor Castellanos was a third grader back then and one of the charter members of Puente del Nino (Puente’s after-school program for elementary students). Fast-forward to the spring of 2015, and you’ll find Victor participating in the first year of Puente’s high school program—and getting ready to take part in the program’s first-ever college tour. Victor has always had his eye on college, and to get there he looks for opportunities, works hard, and earns good grades, so the announcement about a college tour immediately grabbed his attention. He wondered what a university campus would be like and how it would feel to be far from home. For Saul Flores, the coordinator of Puente’s high school program, the tour would also be a first-time experience. 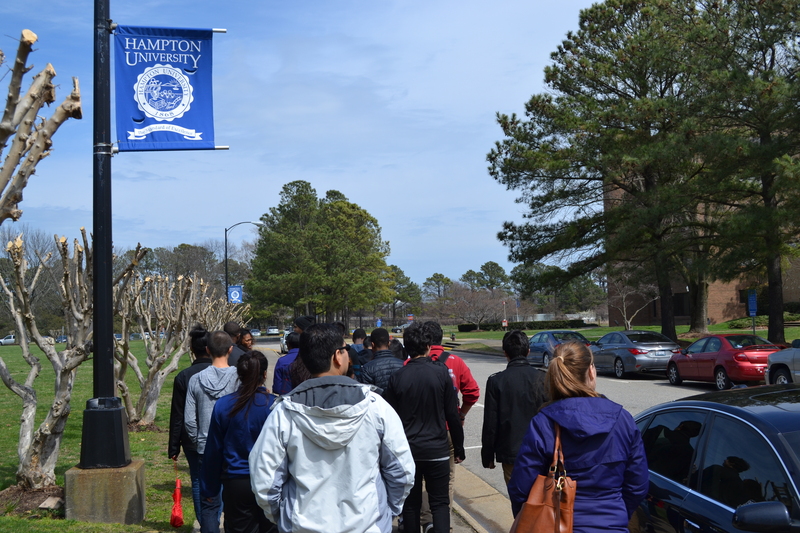 Because the new high school program was just a few months old, there had been no time to plan or fund an event as large as a college tour. But when the Outreach Community Center invited Saul and six students to hop aboard the center’s own tour bus, Saul’s interest was piqued. Then Glenn and Cornelia Mueller (owners of Northridge Holdings, which manages the Timber Lake Apartments, where Puente del Pueblo is headquartered) offered to underwrite 50 percent of the cost to make it affordable for the students’ families, and the trip was on. “I saw this as a learning experience” Saul says, “so I could implement the tour for our students in future years. This trip allowed me to see what it takes. 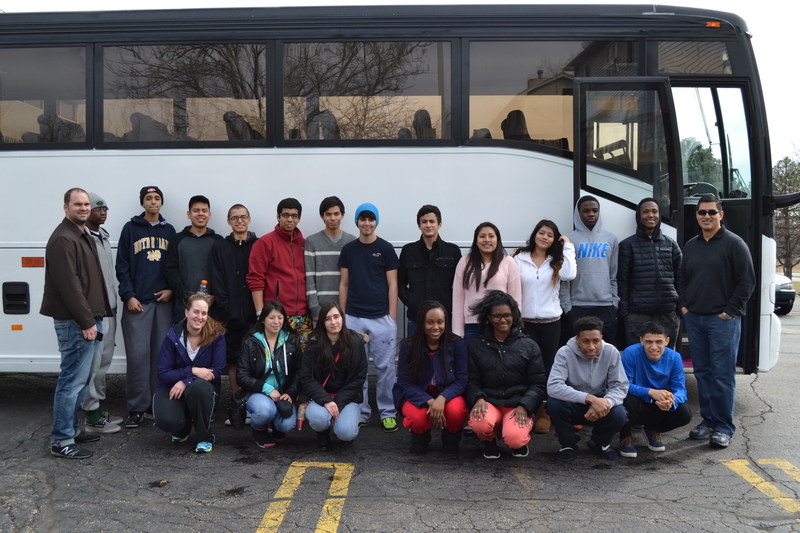 So over the students’ spring break this year, Victor and five other Puente students boarded a bus bound for four colleges on the East Coast. The purpose was to help them envision a future they might not otherwise consider. They would also learn more about how to apply to universities, how a large campus is different from a small campus, and how a public university differs from a private school. What it’s like to live with a roommate rather than with your parents? How does it feel to eat in a cafeteria and attend college-level classes? Finding answers to those and other relevant questions was high on the group’s agenda. The six students were selected on the basis of interest, grades, and hard work. They were excited but nervous about leaving home and parents for the first time, traveling to parts of the country they had never seen—from the Midwest to the East Coast—and, for every one of them, getting their very first glimpse of the ocean. Since none of the parents or grandparents of these students had ever graduated from college or university, these students headed off on their tour as pioneers. They wondered if they had the courage and maturity the tour would require. The week was fun, but it was also a tremendous learning experience that expanded the students’ dreams for the future. They were surprised how different university culture was from high school. They were pleased with the demographic diversity they found and with how friendly and helpful everyone was. They were impressed by the various opportunities the schools offered—from fun extras like “free hug day” to core offerings like study-abroad programs—and began brainstorming careers in nursing, law, accounting, and education. They discovered that some places felt like a good fit while others did not. They learned which institutions specialized in their areas of interest. Just walking around campuses for a week, they noticed something they hadn’t considered—that college students felt comfortable being themselves and weren’t trying to be cool to fit in. how friendly and helpful the students and administrators were, and he saw firsthand how much hard work is required to meet your goals. And although Victor isn’t sure what he wants to study, he’s certain that he wants to get more education and build a future career on what he learns. For Saul, the experience was the impetus he needed to begin planning for future trips. Having seen what it takes, he is already beginning to lay out the logistics and finances for a trip next year. It was also an opportunity for Saul to engage with the students on a deeper level than just their evening sessions at Puente. New experiences are often doorways to significant conversation, and throughout the tour he nudged the students to think about their futures, what they wanted out of life, and what really matters. Victor, now a high school sophomore, represents how Puente del Pueblo’s after-school programming has grown from serving exclusively elementary students to adding middle school, and now providing high school programs as well. In a few years, Puente’s staff and volunteers hope and pray, they’ll be sending their long-loved students out of the nest and off to vocational schools or college for the first time. Puente’s director, Matthew McNiel, who has led that ministry from the start, is energized to see how the program and the students are growing up together. This entry was posted on August 28, 2015 by Wheaton Bible Church in Fall 2015.